Vision Éternel is celebrating its 10-year anniversary with the release of Abridged Pause Apparel’s new t-shirts and stickers. Click here to go straight to Vision Éternel’s shop, or continue reading below for an in-depth description of the merchandise available. Don’t forget to find out how you can get a 10% discount on the t-shirts at the bottom of this news post! 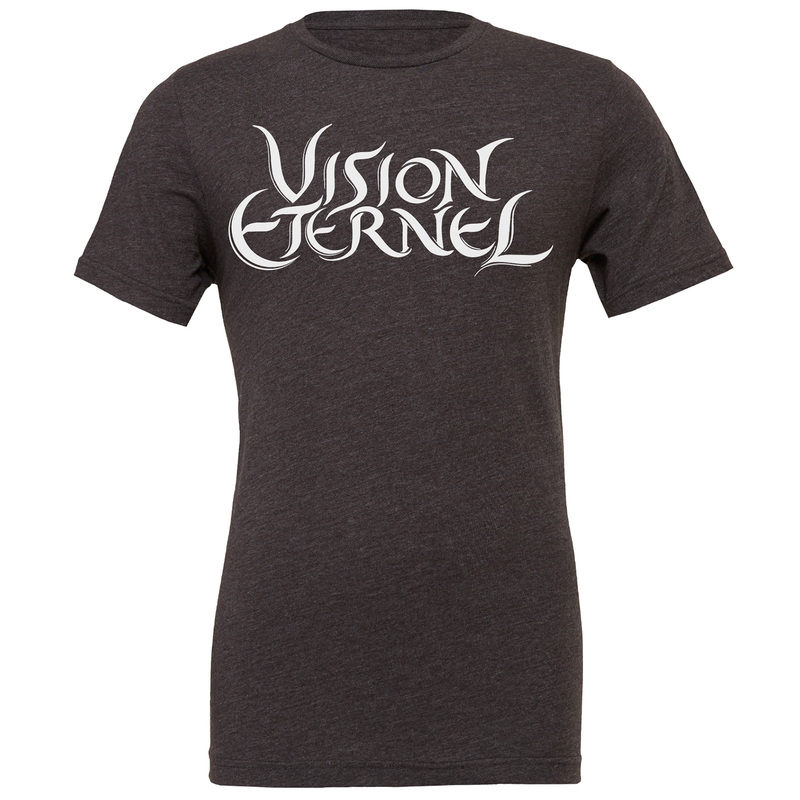 The first set of shirts feature Jeremy Roux‘s “classic” Vision Éternel logo, which he designed in the summer of 2008. This logo was used heavily during the promotion of the “An Anthology Of Past Misfortunes” compilation and the “Abondance De Périls” EP. This style principally reflects an era of Vision Éternel spanning from 2008 to 2011, though the logo continues to be used on promotional material to this day. This design is available in two variations; “Vision Éternel” or “Vision Éternel – Melogaze“. The band is offering these shirts in the super-soft, form-fitting Bella+Canvas 8413 for ladies and Bella+Canvas 3413 for men. These shirts come in oatmeal colour and are printed using an off-green/brown ink, honouring the colour-palette of “Abondance De Périls“. Sizes range from Small to Double-Extra Large. The second batch of shirts feature Christophe Szpajdel‘s “10-year anniversary” logo, which he drew in the spring of 2017. 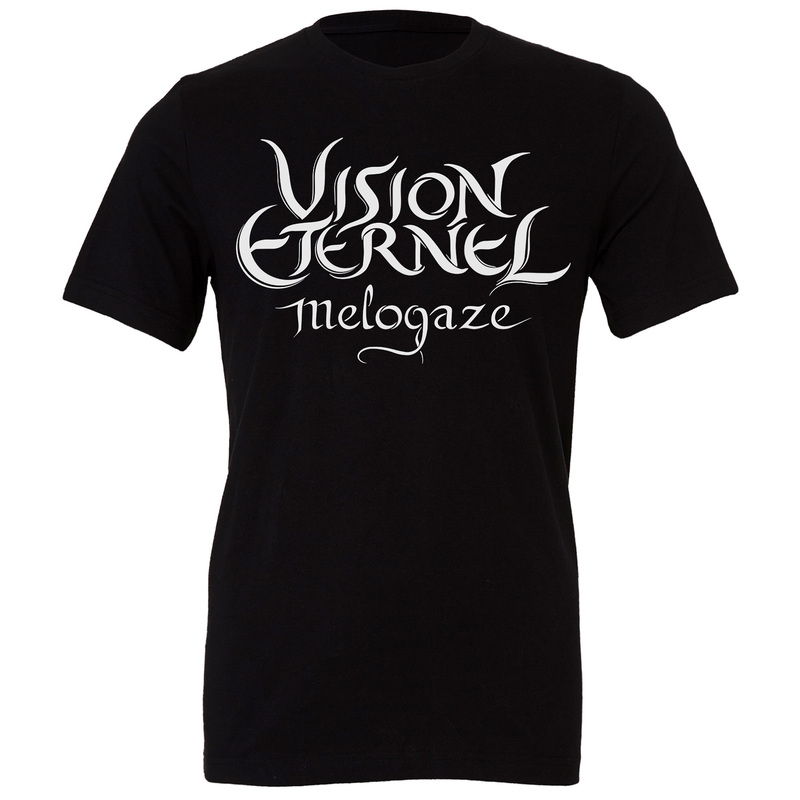 This logo honours the black metal origins of Vision Éternel; Alexandre Julien founded Vision Éternel as a side-project while playing in two black metal bands: Throne Of Mortality and Vision Lunar. 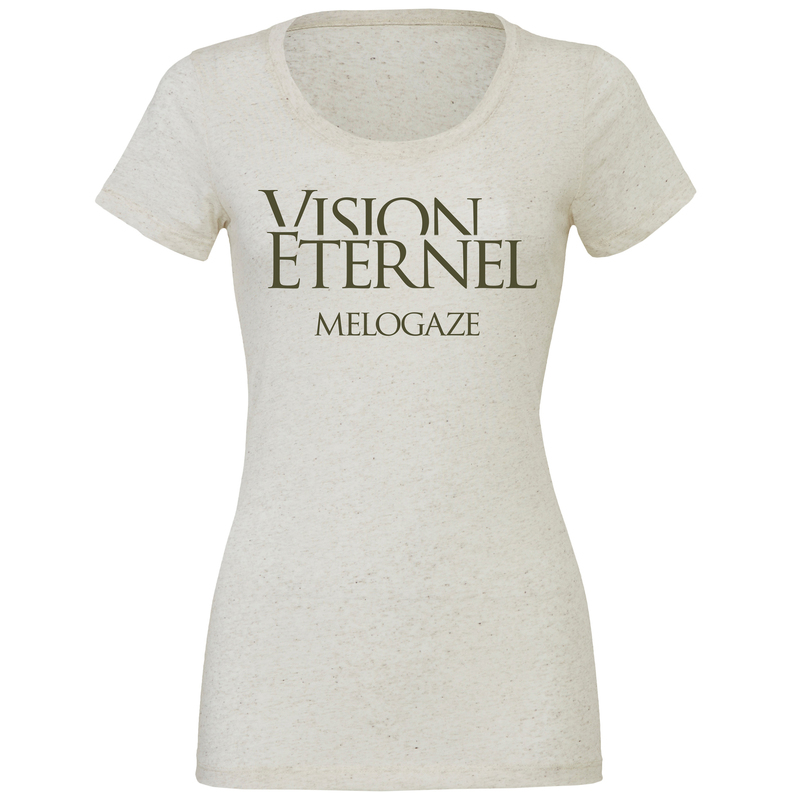 The band is offering these shirts in the super-soft Bella+Canvas 3001 Unisex style, which looks great on both men and ladies. 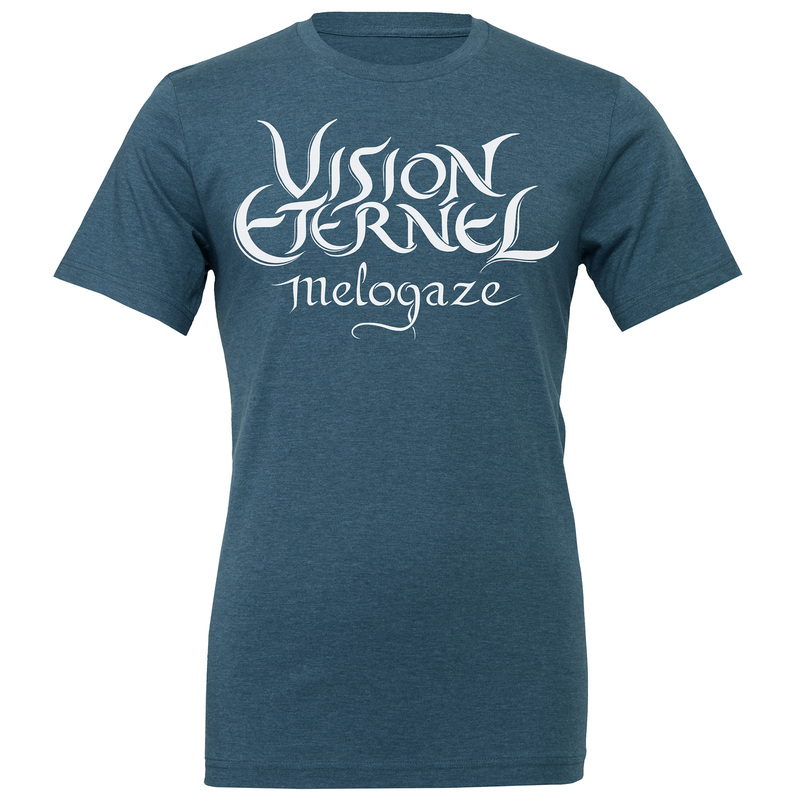 As with the Jeremy Roux design, the Christophe Szpajdel shirts are available in two variations; “Vision Éternel” or “Vision Éternel – Melogaze“. The Christophe Szpajdel design shirts are offered in five different colours, all printed with solid white ink. The colours available are Solid Black, Solid Aqua Blue, Heather Dark Grey, Heather Deep Teal and Heather Forest. 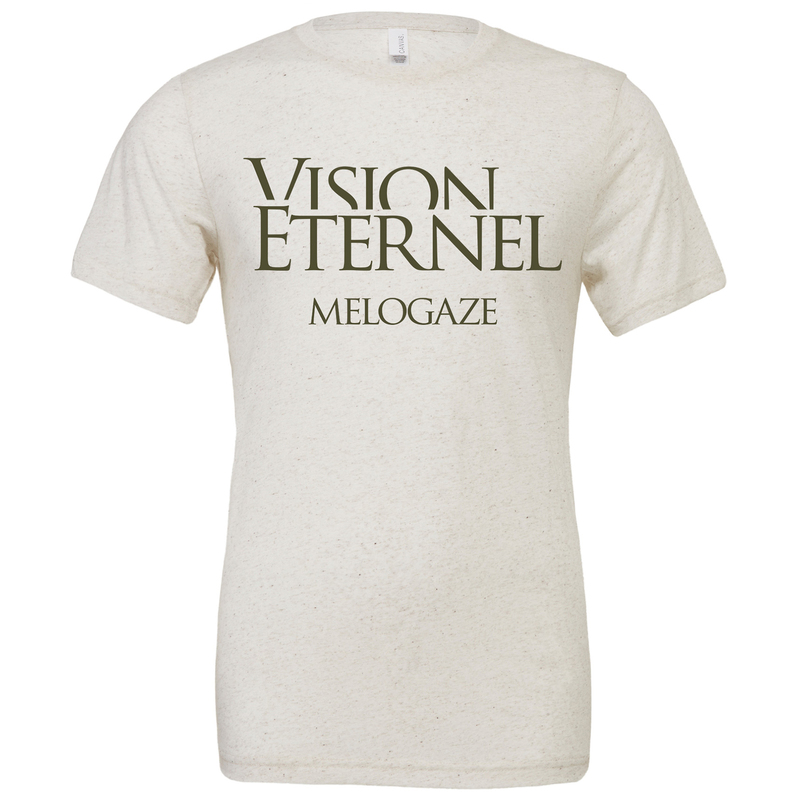 These colours were selected to showcase the evolution of Vision Éternel, from a black metal-rooted project (the Solid Black and Heather Dark Grey colours), to an uplifting ambient band about to release its 10-year anniversary boxed set “An Anthology Of Past Misfortunes” (the Solid Aqua Blue, Heather Deep Teal and Heather Forest colours). Sizes range from Small to Double-Extra Large. 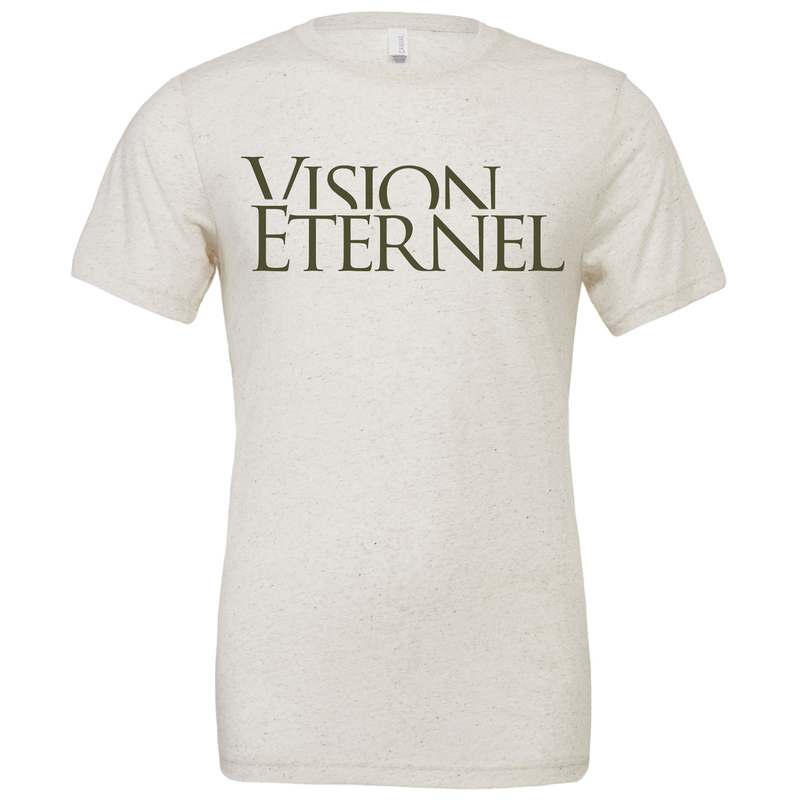 Also available is the first batch of Vision Éternel stickers. These stickers feature Christophe Szpajdel’s logos in white on top of a solid black background. These stickers have a matte finish and are extremely limited. With this new merchandise, Vision Éternel is proud to announce that its web store is fully functional and taking orders. 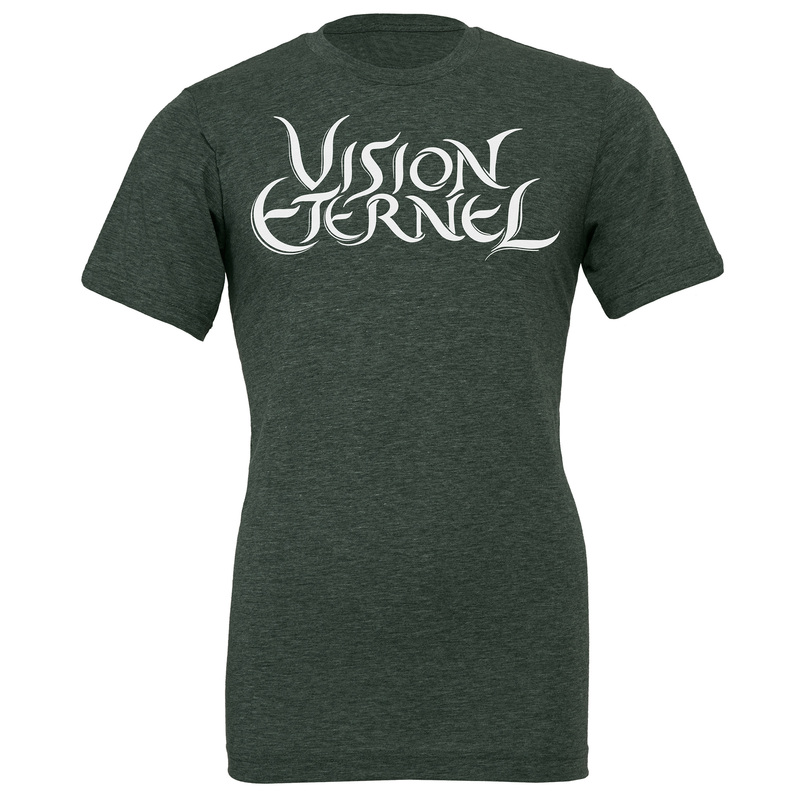 So go check out t-shirts, stickers and digital editions of Vision Éternel’s releases.